Next to the forehead and eye area, the most significant characteristic of a feminine face is overall face shape. To a large extent, this is determined by the shape of the jaw. Men have square chins, and wide prominent jaws that support their larger muscles for chewing. Women tend to have a narrower, tapered, delicate shape to the jaw. Having your mandible contoured can reduce the appearance and size of the jaw, making it rounder and narrower at the square corners near the back of the jaw and along the chin. 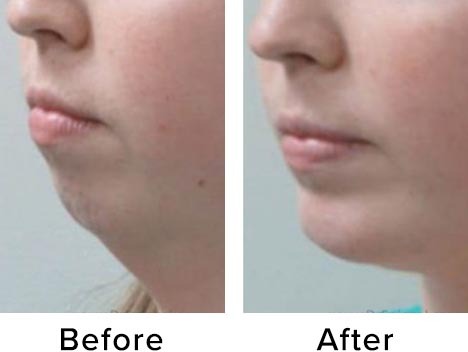 The procedure involves reshaping the bone around the corners of the jaw and adjusting the shape of the chin to provide a narrower, softer, more feminine appearance. 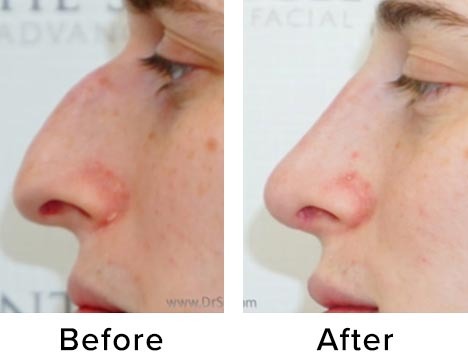 In some instances, the procedure may involve reducing the large masseter muscles to further narrow the area. What is Mandible Contouring or V-Line Surgery? This procedure is done through incisions inside the mouth so that no scarring is visible after the procedure. During the procedure, incisions are made between the gum and cheek to access the mandible (jawbone). Areas of prominent bone are shaped with a surgical rasp, drill, or micro-saw, curving down from back to front to achieve a well-rounded contour. Once the proper amount of bone and muscle has been removed the wound is closed with self-dissolving stitches. Chin work typically requires an incision in the front of the mouth along the gum line and is also closed with self-dissolving stitches. 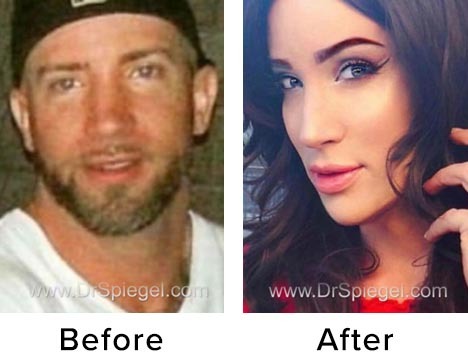 Dr. Spiegel has devised a technique that shapes both the bone and soft-tissues of the chin for a natural feminine result. A dressing or ace bandage is placed after surgery to help minimize excessive swelling and help contour the area. In some cases, skin tightening (e.g. a neck or facelift) may be advisable to fully show-off the new jaw shape. After the surgery the mouth must be cleaned with a prescription mouthwash several times a day. Most patients stay in the hospital for one night after surgery. The face will be moderately swollen immediately following surgery. Swelling and bruising will peak 2-3 days after surgery. The jaw and neck may become very swollen and this is normal and expected. The majority of the swelling will dissipate two weeks after surgery; however, some of the swelling may take several more weeks to disappear. It may take 4-6 weeks for the improved contour to become obvious, but the result is worth the wait! Softer foods like soup, pudding and applesauce are the easiest and most comfortable options for the first few days after surgery. Patients can return to their usual daily activities after approximately one week; but exercise and strenuous (causing sweating or rise in blood pressure) activity should be avoided for 4-6 weeks after surgery. Possible complications from surgery include bleeding and swelling. Infections are uncommon but antibiotics are routinely administered during and after surgery. Careful assessment and a complete set of fine surgical instruments can help prevent over cutting of the bone but it is a possible risk. Permanent injury to the sensory and motor nerves (nerves controlling facial muscles and sensation) is a risk however Dr. Spiegel works to protect against any complications and has had great success. Chin and mandible shaping are just part of the many ways that Dr. Spiegel is able to help you present yourself as you desire. 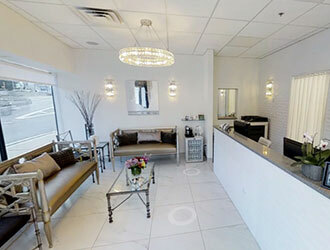 Please feel free to contact us with any questions or to learn if this procedure is right for you.